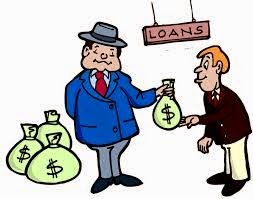 Getting a reliable loan services or loan site through the internet seems to be difficult to many loan seekers because many of the available online loan site promise what they could not fulfill and this make people disregard some loan site available on the internet. I never believed one could get a loan online through some site which offer loan services online but how reliable some of these site could be is the important things at hand now and to choose the best one to seek loan. 1. Reputation : Before you could decide to apply for loan through any of the online loan site, you need to check the credibility and reputation of such site. Not only that, how reliable the site is to its users. Some Online loan sites are scam but can be checked through the site reviews on the internet, blogs, forums and search engine results. 3. Security : How secured is the loan granted, the site itself and your information provided during registration matters a lot. Some loan site claims they do not need a collateral before you can be granted loan but checking the site information and security level should be done. Many site will even sell your emails to other partner loan site but just get information on that. You could also do this by checking the 'about' page of the site to see of the site is duly registered with the appropriate authority. 4. Transaction fees: before you can settle for a loan company or site, rate of charges or fees, interest rate, transaction fee or other charges should be properly read. Do not be deceived by the grants they offer but the rate and method of payment. 5. Customer Care: If any site lacks poor customer care services like late responds to calls or emails, lack of solutions to problems, no responds from the admin etc, you do not need to seek loan from such site. Ensure you accept a loan from site good customer care relations and services or you may even have one of the admin officer on your social networks to enhance communications. These are things you can do or tings you need to consider before applying or seeking funds, capital, money or grants for any loan site on the internet. Be careful and do not fall for scam. Thanks.